Basically, Klarion the Witch Boy turns all the Juveniles into adults and all the Adults into, well, juveniles. The Young Justice Team then has to work together to get Klarion to return things to the way they were while dealing with their adolescent mentors. However, when if time comes for them to actually switch back to normal, do some of them even want to go back to being kids? Ooooooh, like JLU's Kid Stuff! Yeah! If we can do that one, it'll be so fun. I figure it'd be pretty fun because you have a wide variety of characters to choose from, both the Teens and Adults would have an oppurtunity to play apart in this kind of story. Unfortunately, this is the kind of story I think we would have to do later, when we know the characters a little bit better. Hmmm, come to think of it, roleplaying's probably not such a good idea when we haven't seen much of the show. We haven't known the characters that well and we haven't gotten deep enough to actually make a roleplay. :l Does that make sense? We can pick up roleplaying later. Mybe not...what if I had a solution that actually let us roleplay while the show airs. If you want...I'll post my idea. Well I honestly don't see what's wrong with roleplaying along side with the show. The only problem we might have are understanding the characters more. But other than that, I still think we can do something. I'm open to ideas, so yeah go on tell me Lost. Well, the Justice League has their own covert group of teens that The Light knows about...so why not make it that The Light makes there own group of covert teens to spy/battle/recon on the Justice League/Young Justice? Everyone could make there own sinister OC and we can inflict evil onto the world. What do you think? 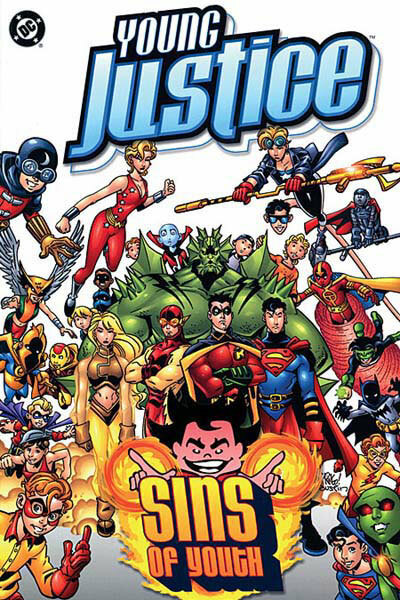 Young Justice is basically set on a parallel Earth, which is Earth 16. The Earth 1 counterpart are probably the ones in the comic, they're the canon-est of the canon. There has got to be other counterparts in other parallel Earths. We can come up with our own interpretation of characterizations, plots, and other things that are similar to the show's version, but not the same. Just like how the show adapted the series from the comics. That way we'll be safe! *playing the idiot way, covering it up with the excuse of being on a parallel Earth, like the show itself* It could still be fun. Hm, actually, I quite like that idea. Everybody can play their favorite characters and it allows more wriggle room for those who prefer to create their own. If Superboy's open, I call dibs! Now, to copy, paste, and edit! I like Ria's idea better...mine will just have to dominate the world another day. Is this RP thread still working? *Sigh* Maybe I should make a forum for RPing Young Justice. Tired? OK! 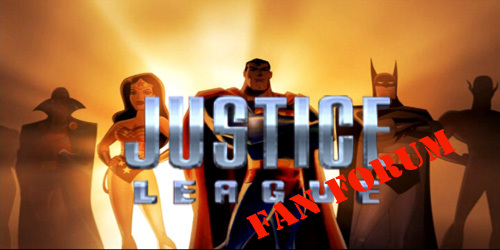 Is creating a forum about RPing Young Justice a good idea or not? Oh, I really want to make one. But I need some support to reassure me. I'm new to the whole RP thing, whats a Co-Admin? I, um, said that I was wondering if I should make an RP forum, not an RP thread. A Co-Admin is the partner Administrator. I guess I could give it a go. Though it'll really crowd everything up. You know, with the Bios and what not. I really think we should make another forum for this stuff. But, if it offends you...never mind. Oh, I really want to do this. My other forum was a failure. I'll still RP here occasionally and go online frequently here even if I still have to Administrate another website. I've stayed very active on about four websites at the same time so this should be nothing.